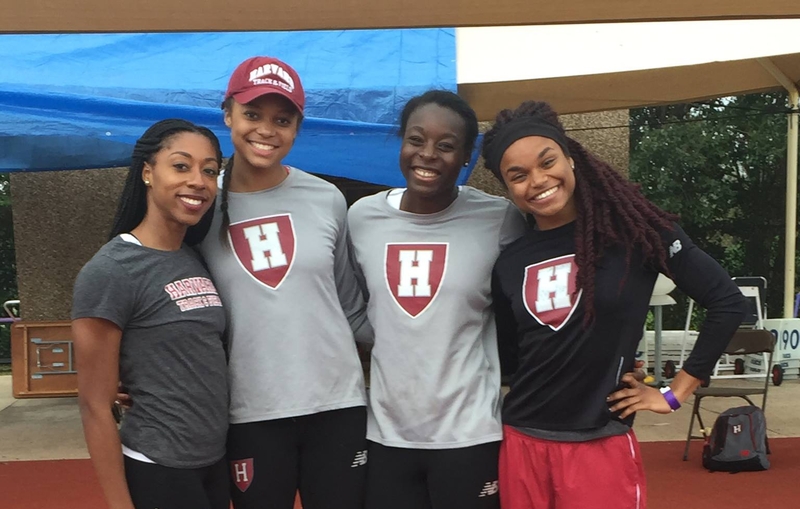 Harvard’s Gabrielle Thomas has made quite the impression upon the Ivy League. The rookie sensation has reset the conference records in the 60m and 200m indoors, and more recently, the 100m and 200m outdoors. Her times in the 100m (11.30) and 200m (22.75) rank her #18 and #7 nationally respectively. It is difficult not to see her complete the sprint double and be undefeated in the Ivy League this season. Thomas’ teammate, Ngozi Musa, has a good chance of finishing right behind her in the 100m as she has run the fourth best time ever in the league (11.66). Musa also has a chance of scoring in the 200m also. Taylor McCorkle (Penn) has improved after her 100m fourth place finish last year and is now the 8th fastest ever in the conference (11.71). She should move up at least a notch or two in both disciplines as she has a new personal best of 23.98 in the 200m. Ashley Cunningham (Columbia) is the top returner in the 100m and could be a double scorer after finishing second in both lasat year. 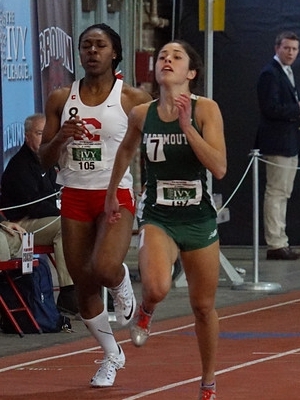 Sydney Cureton (Yale), Emmaline Suchland (Brown) and the versatile Kaitlin Whitehorn (Dartmouth) should be part of the 100m scoring mix, along with rookie Imani Solan (Penn) who has chance of moving into the top three in the 200m after her second place showing at Indoor Heps. The 200m has potential additions of defending champ, Udeme Akpaete (Cornell), last year scorers Jennifer Meech (Dartmouth) and Akua Obeng–Akrofi (Columbia), and Christi Scott (Harvard) all vying for team points. Akpaete is also the defending 400m champ, but appears to have some competition this year from Obeng-Akrofi (if she decides to run this event) who has the top time of 54.36 this year. These two seem to have established separation from the rest of the competitors. Meech has improved this year after setting a school indoor 400m record and should place right behind this duo. Other potential scorers include Jaycee Parker (Columbia), Scott, Elisa Steele (Princeton) and Taylor Hennig (Penn). Harvard’s Autumne Franklin has continued her outstanding season from indoors with two personal records in the 100m hurdles (13.47) and 400m hurdles (55.70). Both times are conference leaders, #2 all time in the league, and the 400m hurdle performance is #3 in the nation. The three-time defending champion in the 100m hurdles could lead her teammates of Jackie Modesett (third last year), Jade Miller (became #7 all-time in conference this season-13.80) and Madison Hansen to a top four sweep. Last year scorers, Columbia’s Iris Chijoike (second), Princeton’s Allison Harris (fourth) and Brown’s Rachel Van Metre (sixth) are more than capable of disrupting this potential Harvard team dominance. Miller is the two-time defending champ in the 400m hurdles, along with being the championship record holder. She is currently #10 in the nation (56.44) and should provide Franklin with a real challenge in this event. Taysia Radoslav (Cornell) and Modesett were scorers last year and should finish behind the first two women. Other competitors that could round out the scoring include Meghan McMullin (Princeton), Marissa Evans (Dartmouth) and Kathleen Sprout (Dartmouth). This entry was posted on Monday, May 2nd, 2016 at 7:00 pm. It is filed under Heps Champs, Spotlight, Team Previews, Women. You can follow any responses to this entry through the RSS 2.0 feed.